Have You Answered these 51 Essential TN Visa Questions Before Crossing? You have questions about your TN visa. Of course you do, everybody does. I’ll show you how 13,000 TN Visa applicants just like you got their questions answered quickly. I do not want you to go through the unpleasant ordeal I went through to obtain my initial TN visa. I want you to have an easy, stress-free experience obtaining the TN Visa. The information that’s available regarding the TN visa process is low-quality at best. Don't spend countless hours performing multiple Google searches to find information that could be incorrect, unreliable, and would steer you in the wrong direction. You want reliable information that will give you confidence to tackle the process, so you can feel safe and comfortable doing it. The truth is that this doesn’t have to be such a worrisome, frustrating process. It doesn’t, I promise! The key to getting through the whole ordeal is being properly prepared and armed with the correct information. "Wouldn’t it be nice to have someone not just answer your questions, but to give a detailed, first-hand account of the best way to handle the trickiest parts of the TN visa process?" You need a confidante to give you the answers to all of your questions. But I almost lost this chance at a great life because I believe I didn’t have someone knowledgeable, looking out for my best interest to help me prepare. I even had a lawyer and he made a mess of things! It was then that I told myself, "Never again!" "NEVER, AGAIN WILL I BE SO UNINFORMED!" -- and lose an opportunity of a lifetime because I didn't have all the correct information. The fact is you have lots of questions regarding this process which needs to be answered. We all do. I recognize how frustrating obtaining your TN visa process can be; I’ve been helping others get through it for over 12 years! 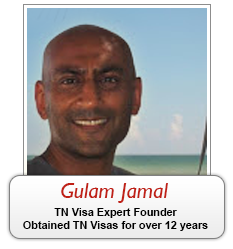 In this time, I’ve helped over 13,000 people get their TN visas. I have worked hard to prepare them and help them get their questions answered, making their journey as smooth as it could possibly be. If you are not getting the right answers to the crucial questions, it can cause a great deal of stress, grief, delays, and even denial of your TN visa. However, what I can tell you is this: there are so many things that people just don’t understand about getting a TN visa. I answer all of the important questions for you and get you on the right track. I started TN Visa Expert for just this purpose. Now I am able to give you the most valuable, up-to-date and reliable information you need to successfully obtain your TN visa -- at an affordable cost. I help you avoid high lawyer fees. I believe you need to know some of the key, important, rarely shared information which the experts know. Unlike a lawyer, I arm you with this inside information, the secrets no one is willing to share, the helpful tips to make your process easier - and you’ll have it forever. Each time you renew, you can use all the information you have learned from me, for all your future TN visas. QUESTION: "When Should I apply at the border?" Most people I speak to are confused about the answer to this question and rightly so. There is no right and wrong answer here. However, the time you go to the border is very important; because if you do not apply at the right time, you will be turned away - that's a guarantee. The immigration officer will flat out refuse to look at your application. It's happened to too many people who come to me afterwards for help wondering why the Officer was so rude and difficult. Just like we were old friends sipping coffees at a local cafe, I'll explain to you that no matter what the circumstances, the immigration officer is not concerned about all the problems and stress he is causing in your life. I will help you realize very clearly and easily the key to your success. Then you are able to decide on a time to apply that will work for you but also is a time period the Immigration Officer is willing to accept and he will let you enter the country before your job start date. Timing really and truly matters if you want your TN visa process to be successful. The last thing you want to do is make the dreadful call to your future employer and tell them you cannot start working because the officer did not give you your TN Visa. No one tells you that you may or may not receive the I-94 card when you enter the country. And no one tells you where to get it from. I explain all of this to you. This information is invaluable. It saves you time and avoids problems if you have it with you. This is an example of a couple of questions - there are 48 more questions just like this one that I will answer for you. Why spend countless hours looking for an answer with all the conflicting suggestions out on the internet? You’ll be more confused after researching than before you started! "I want to take my household goods and car with me. How do I do this?" "How do my wife and kids come and live with me as dependents?" "I want to take my car but have heard people having problems with this, is it possible or not?" "I’m not sure if I qualify, What should I do?" "I graduate in April but won’t have my degree until June. Can I obtain a TN visa without a degree?" "I got denied my TN visa. Can I try at a different border crossing?" "I own a company and want to send my employees. How do I prepare the TN visa application?" "Do I only need a signed contract from my employer for a TN visa?" "Can my spouse work as a dependent?" "Where do I file my taxes?" "How do I obtain my Social Security Card for the U.S.?" "How do I obtain my Social Insurance Number for Canada?" "How can I start working before receiving my Social Security Card?" "If I get fired, how many days do I have before I have to leave the country?" "How do I change jobs without jeopardizing my existing TN Visa?" 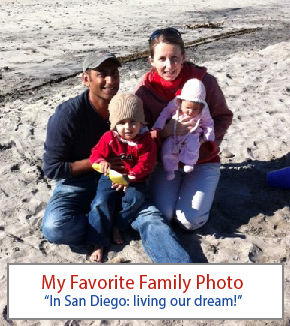 "I’ve been on the TN visa for several years and am worried about my renewal because of the temporary stay requirement. How do I prove 'strong ties'? What should I do?" I answer fifty questions just like these. BUT WAIT, because I want you to be completely prepared and avoid any confusion, I’ve added one additional question you must read to help you avoid getting denied when speaking to the immigration officer. This is the fifty first question. Read this fifty first (51st) question and know the answer to it before you go to the border to apply. SO INCREDIBLY HELPFUL! TN Visa Expert changed the whole visa experience for me: the information, and advice provided me with the knowledge, confidence, process, and best way to be organized for my interview. Additionally, the whole TN Visa Expert team was remarkable for any questions I had: super quick, precise and to the point. Easily the best if you’re applying for a TN Visa; I can’t say enough! I was answering these questions and it was helping people, but I knew even more people were asking these questions and didn’t have access to the right answers. So I wrote the 50 Highly Effective TN Visa Preparation Questions eBook and added an essential 51st question and answer for your benefit. Pay particular attention to the question and answer for #51! The bonus question was specifically designed to prepare you to speak with the immigration officer. Even the most pristine application can get denied if you make a mistake at this significant moment. You would be amazed at the long list of frequently asked questions people need to know the answers to in order to make this process go smoothly. Rest assured that all the little details were included and nothing was left out. These 50 questions (and one additional critical question) are a great place for you to start on the path to success. Whether or not you make it to the finish line is up to you. Your move can be easy. You can get that new life you desire. You can do it quickly, efficiently, and without delay. 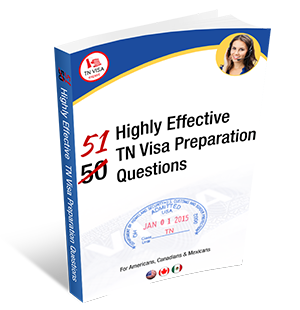 The 50 Highly Effective TN Visa Preparation Questions eBook can help. Honestly, question 51 is the most important If you don’t read anything else, read this one question and study it, know the answer by heart and be able to answer it naturally at the border… or you can get denied. When I went for my last TN visa renewal, this was my ninth or tenth renewal (I have lost track now I’ve done so many), I realized the officer asked me a question that could get me denied if I hadn’t answered it correctly. It would have been such an easy mistake to make! As you can imagine, if you say something just slightly incorrect, it could raise the officer’s suspicions. This would inevitably lead to him asking you more questions, more probing questions, questions you must answer and possibly interrogating you. Dreadfully, this could lead to a possible phone call to your employer who then must answer their questions. The whole situation could have get quite bad. All because you did not realize the importance of this one question...this 51st question. To help you avoid this, I knew I had to share this new realization - this hidden gem - to help my TN Visa Expert community. In fact, it will do more than just help; it will be the beginning of your journey to bigger and better things. Let’s be clear. This is not a border interview questions eBook. I’m not going to tell you the questions an immigration officer will ask you. That's not how the TN Visa border interview works. The border interview is not a series of questions you study and then pass or fail. I’m not going to tell you if you qualify or not, and I’m not going to tell you how to find a job. In fact, I am not going to tell you that any of the information I give you in this book will guarantee you cross efficiently. That part is up to you. What I give you here is a tool to prepare you and help you avoid problems. I am empowering you to be informed, to be in control of your situation, so you are not taken advantage of -- so you are not taken by surprise. I am giving you an opportunity to avoid needless nights of worry and sleep. To enable you to hold your head high and with confidence, approach the immigration officer and state, "I am applying for my TN Status. I am ready." NOTE: Preparing for the border interview is a whole topic in itself, and I give you this information in the TN Visa Expert Kit. This is another eBook you can obtain later. I’ve said it before, and I’ll say it again: I WANT YOU TO SUCCEED. I created this eBook especially for your questions, which is why I’m going to make it easy for you to obtain it more than ever before. I have full confidence you will find this eBook valuable and highly effective. I will give you a no risk money back guarantee! I’m going to offer you a 100% money-back guarantee.That’s right, THERE'S NO RISK INVOLVED. I want this to be a valuable resource for you during this uncertain time. If you don’t get everything you need and more, I will completely refund your purchase. No questions asked. I want you to be confident you are getting an amazing value. I want to remove all doubts about whether this exclusive eBook will work for you. Plus, I know how much valuable information is in the eBook. I am confident you will learn so many things you didn't know which save you from having problems. Download it, try it for 60 days - return it if you are not happy. Still Have a Question? No problem, we will answer it! Special Bonus: Email us your TN Visa Question and we will answer it. If after purchasing the 50 Highly Effective TN Visa Preparation Questions eBook, your question has not been answered, feel free to email me. In my experience, these 51 questions (and their answers) are truly invaluable to help you throughout this process and helps all our customers feel relieved and confident to continue. But, that doesn’t mean you won’t come up with a new question as you go through it yourself. I am cheering for you, I want you to be successful like I was, like our other customers. You deserve the best in your life, you deserve to make your dreams come true. So reach out to me via email and I’ll personally answer another question you may have. Remember, I do not answer legal questions and I do not give legal advice, but lawyers in our legal network can help with this. 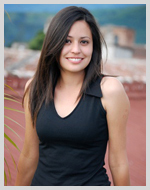 I read and followed the information that came with the eBook and I got my TN Visa in Mexico City. I was impressed how easy and fast it was. Thank You TN Visa Expert Team. I want to give you this eBook because I know that it’s going to make your life easier. When you get your TN visa, so many opportunities will open up to you, and you deserve that. So when you purchase the 50 Highly Effective TN Visa Preparation Questions eBook, I’m slashing the price by 50%. Anything with this much value is a steal at $30, but I’m going to give it to you for $15. Can you believe you are moving another step closer to successfully obtaining your TN Visa? ...and as you already should know, getting the TN visa is essential to do this. Take advantage of this quick reference guide to answer all the tough questions about obtaining your TN visa — answers only a confidante can give — for only $15. (So many people later regret not taking advantage of this wonderful discount. Don’t let that person be you!) Rather than trying to make free calls to lawyers, asking friends, searching the internet, and using other unreliable methods, get the answers to the crucial questions all in one place from a source you can trust. Your new life awaits. Make your dreams a reality. Let me help! It’s time for you to succeed, and with all of your important questions answered, you finally can have the future you deserve. P.S. Remember, to read the 51st question. Also, tell your employer about this question, so there is no confusion when you are at the border. It will help you avoid scrutiny. I believe in the eBook and in you. Email me when you obtain your TN Visa and let me know how it went. Yes, I want to know the answers to the questions that can save me problems with my TN visa and help prepare me to my new life now for the special price of $15.